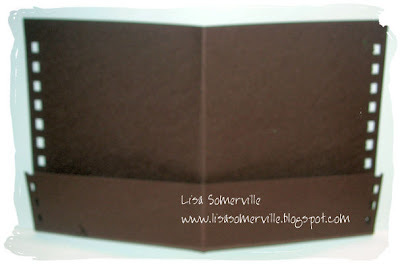 Here's a quick and easy card organizer you can make using a few sheets of card stock, some Embellishment Papers, a Bind It All, and chipboard. ETA - Melissa asked "does each 9 3/8 x 7 13/16 sheet make one single sided pocket or one double sided pocket? Oh my I have another question, which side do you put into the coils; the folded side (which would then open up or the other side which would ensure a single page)??? " Very pretty! Thanks for posting these directions! 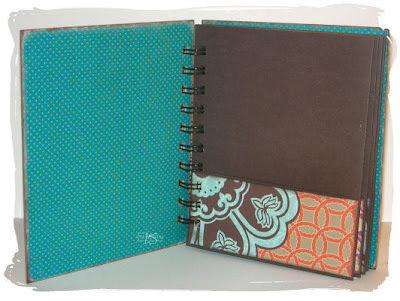 I just bought my bind-it-all yesterday and I can't wait to make one of these now! I just bought my BIA last week (I don't even have coils for it yet!) 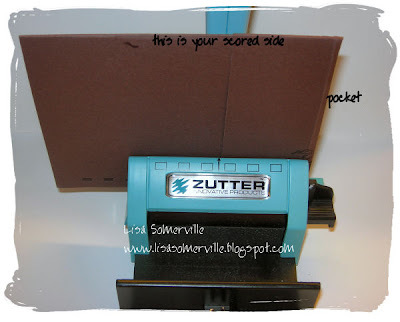 Your card organizer is beautiful! I do have a question for you. . . . (I am so visual)does each 9 3/8 x 7 13/16 sheet make one single sided pocket or one double sided pocket? I read it like it makes one single sided pocket. But it seems that if you folded up the pocket first the folded in half you'd have a double pocket. Oh my I have another question, which side do you put into the coils; the folded side (which would then open up or the other side which would ensure a single page??? I've posted a visual to help you out in regards to the pockets and the punching of the BIA. Oh ya! 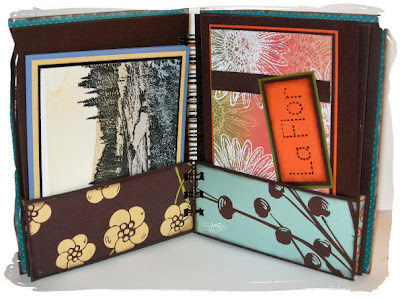 Another fab tutorial for the bind it all from you!!! This will be great to put cards in and give it as a gift! Thanks for sharing!! awesome book! 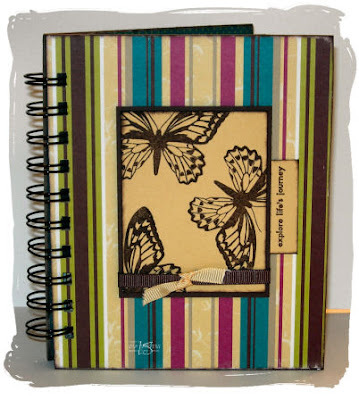 I have that same butterfly stamp and never know how to use it what a quick easy way and pretty! Lisa, lovely piece! Thank you so much for sharing your talents!